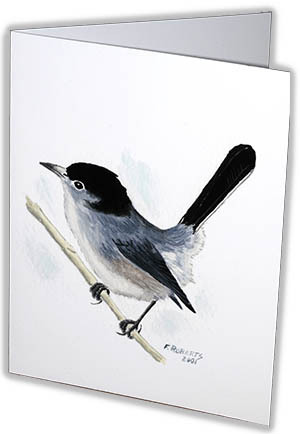 The California Gnatcatcher (Polioptila californica californica) is a small song bird that meows like a kitten. It is found at low to moderate elevation in coastal sage scrub habitat in southwestern California and northwestern Baja California, Mexico. 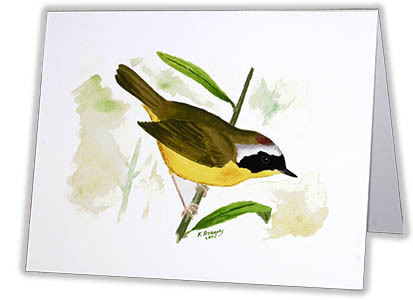 In the early 1990s the bird was added to the Federal Endangered Species list. This pair is perched on California buckwheat. 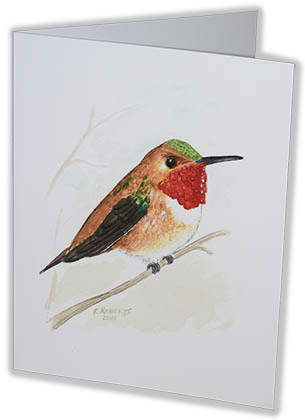 Original Fred M. Roberts painting: Watercolor (2003). 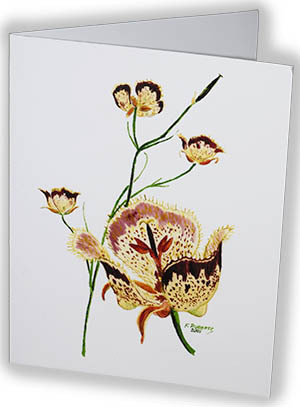 The art work is available as an 11 x 14 inch print (the original size), an 8 x 10 inch print, or a 5 x 7 inch print on heavy fine art paper. 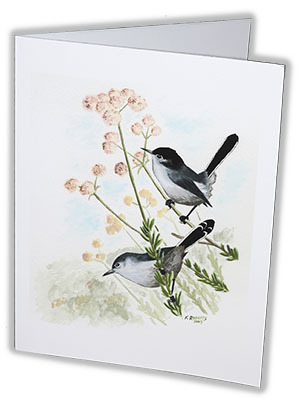 It is also available as a 4.25 x 5.5 inch note card with envelope. I have painted several versions of the original over the years and the print is one of my most popular items, especially at the original size (11 x 14 inches). A must for those who make a living surveying California gnatcatchers! Print Size Choose an option4.25 x 5.5"5 x 7"8 x 10"11 x 14"
4.25 x 5.5", 5 x 7", 8 x 10", 11 x 14"